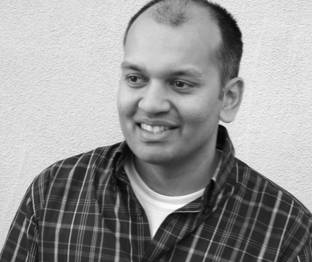 A conversation with Nipun Mehta, founder of ServiceSpace, on kindness and generosity, non-monetary wealth, and how even small, simple acts of kindness alter the fabric of our world to have potentially enormous social and political consequences. Subscribe to the podcast for access to a far-ranging followup about community, how kindness opens the gates of synchronicity, and other things. Although I did not respond to the question about the acts of kindness in my life during the call*, I have been thinking since then about how I have been both the recipient of and witness to countless acts of kindness. Being kind to others also gives me great joy and yes, there has been an astonishing flood of synchronicities in my life in the past few years – perhaps partially as a result of both the increased giving and receiving of kindness. However I am also aware of how much more comfortable I am giving then receiving. As I explore what is underneath my feelings about both roles, I find shadow aspects of myself that are clearly in need of a little kindness! P.S. Good luck with finding a new kind stranger, Phyl! * I came on the call late and missed the Instructions on how to “raise my hand” and then at the very end when they were repeated, I decided that my story was too long for the end of the call. Wonderful conversation! It really moved me to action!. Looking forward to more of these. Very grateful to you Charles for bringing so much inspiration. What a great conversation Charles with Nipun. In my own “calling” I encourage others to awaken to the “Natural Principles” that describe how the Universe/Nature works through a vital steering energy I call (like many others) Divine Love. Compassion (essentially acts of kindness) is at the forefront of these Principles and as stated in the conversation, an intrinsic element in aiding someone to achieve a healthier mental balance and thus different perception of their reality. I’m always on the look out for practices that can help people exercise the Natural Principles, and had not come across servicespace.org or kindspring.org before. Fabulous resources for practicing the Principle of Compassion. I’m off to order some smile cards! I’m 66, i still remember as a child, people would say “what are you smiling about?’ are you crazy, and wondering what was wrong with me. zeroes required in the hash generated. Unlike the regular currency that you use, it is difficult to be counterfeited. subscription link or newsletter service. Do you’ve any? Kindly permit me know so that I could subscribe.